Looking at the load-cell data from the team’s fourth static test fire (STF 4), we saw a peak thrust just shy of 1,300 lbs (see below)! The data was aliased as well, so the true peak could have been higher still. This blew our previous estimate of about 700 lbs out of the water, and meant we’d need to revisit our simulations. 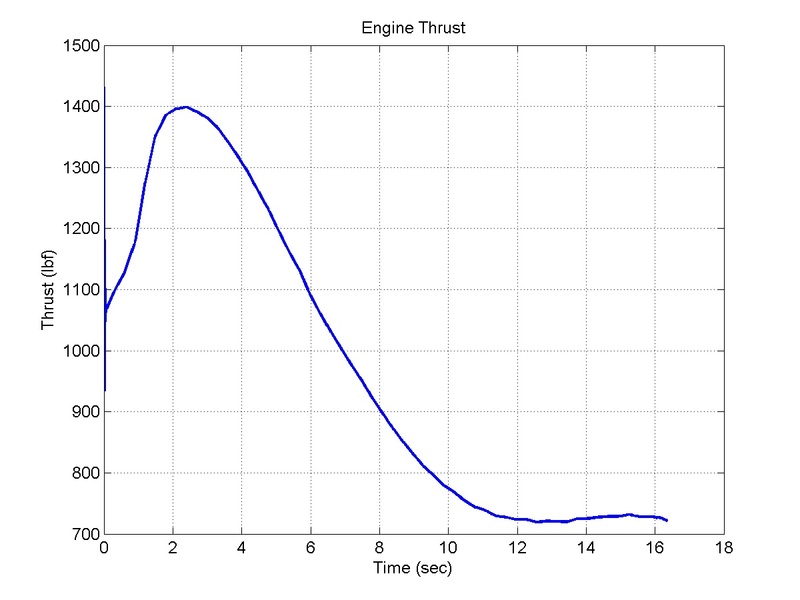 Figure 1: STF 4 thrust data. At about 0.4 seconds, the structural failure occurred. The first step was to replace the computed mass flow rate relationship in our STF code with the real data we captured at our previous cold flow tests (CFT 5 and 6). 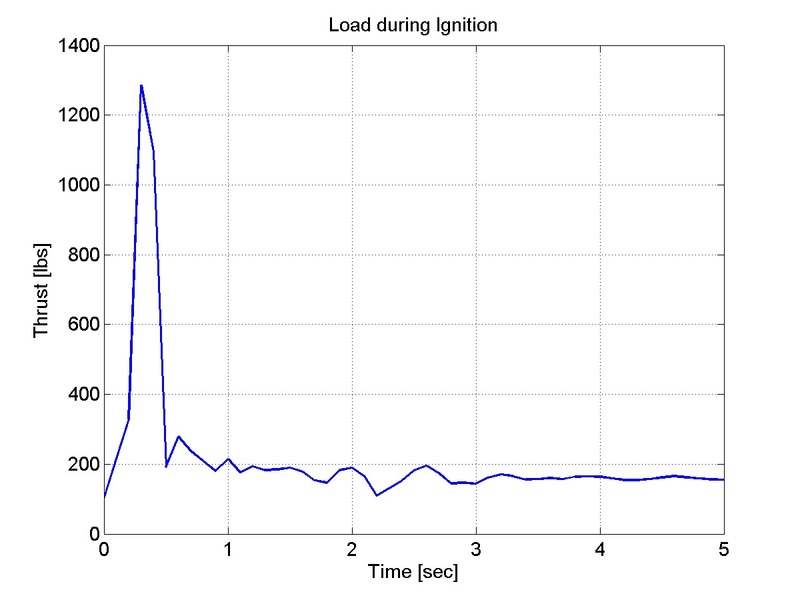 Using the CFT 5 data, the results looked pretty similar to our previous predictions: a 33 second burn, 700 lbs peak thrust, 500 psi combustion chamber pressure. However, the CFT 6 data would tell a different story. As a quick recap from CFT 6: we observed a mass flow rate that peaked at 2.7 times higher than CFT 5 and was finished expelling after about 15 seconds. A small leak was spotted on the videos during the test, but it seems unlikely that it would be responsible for such a large mass flow rate. Figure 2: Predicted thrust at STF using our data from Cold Flow 6. This simulation shows a peak thrust of 1,400 lbs! Very close to what we saw at STF 4 before the failure. We also noted that the combustion chamber pressure rose to a maximum of 850 psi, a 70% increase! This well exceeds the limits on the design. The structures team has just finished a design review for their revamp of the mangled structure. It should be able to handle these anticipated loads with a minimum safety factor of 1.2. They say that hindsight is 20/20, and it was a costly mistake to not perform this analysis prior to STF 4. Hysor learned the lesson and is moving forward with confidence! Enter your email here for email updates on our rocket development progress.